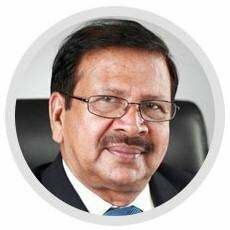 Dr. Benny Antony, co-founder of Arjuna Natural Extracts, a visionary at heart, has contributed significantly towards building Arjuna as a leading innovation-led nutraceutical company in India. He has been at the helm of developing the ‘Research and Development’ facility of Arjuna which is today approved by the Ministry of Science & Technology, Government of India. The R&D division equipped with state-of-the-art facilities focuses on pharmacological evaluation of Arjuna’s products for various applications in the dietary supplement, pharmaceutical and cosmetics industries, in accordance with international best practices. Dr. Benny Antony is widely recognized for his path-breaking inventions in the natural extract industry. His brainchild, BCM- 95™, has been celebrated worldwide for its bio-available therapeutic benefits and is today considered as the world’s most preferred bio-available turmeric extract. His mentorship has paved way for several innovations at Arjuna which includes developing of herbal extracts like Amlamax (a patented product from the ripe fruits of Amla), AKBAMAX (extract of Boswellia serrata), and Omega-3 (natural extract from sardine). Dr. Benny Antony has to his credit 21 patents (15 international and 6 national) and has published articles in over 16 national and international publications. 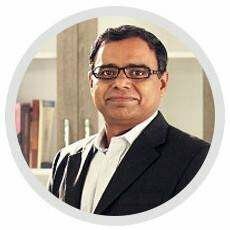 His ardent passion and knowledge of science and technology keeps him abreast of the latest trends in the nutraceutical industry, thereby helping Arjuna to deliver innovative products that meet global standards. For his significant contributions in the extraction industry, he was conferred with the ‘Innovator’ award by the Spices Board of India for the year 2012. T.N.B. Kaimal brings his rich experience of over three decades in scientific research and development to Curegarden’s operations. 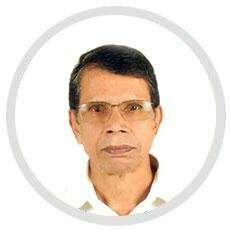 Following a Master’s and Doctorate degree in Applied Chemistry, he has served at the Indian Institute of Chemical technology, a premier R&D institution under the council of Scientific and Industrial Research, Ministry of Science & Technology, Government of India for 30 years. He has to his credit 15 patents and has published articles in over 100 international journals. Mr. Kaimal brings his personal passion for technology to Curegarden, and has consistently demonstrated his commitment to research and the development of innovative solutions with scientific precision. A pivotal influence in imparting a solid sense of direction to the company’s innovation and research initiatives, Dr Merina heads the R&D division of the organization and is in charge of quality assurance. A passion for science has seen her heading several research initiatives in association with reputed sponsoring agencies. 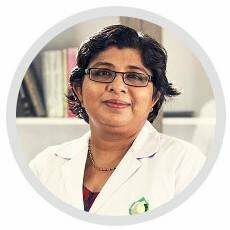 Dr. Merina currently holds 5 US patents and over 25 research papers to her credit. She is also a consultant for research scholars of different universities. Dr. Binu T. Kuruvilla completed his medical graduation from Kerala, India before joining clinical practice. 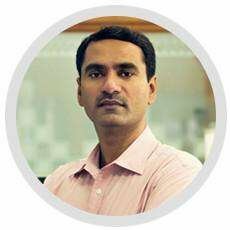 He has worked with various multi-speciality hospitals in medicine and oncology department prior to joining Curegarden. With an interest in clinical research and new drug development, he is keenly involved in protocol design, implementation and management of preclinical and human clinical trials, and works as co-investigator in various clinical trials. His area of expertise also pans collaborative research with both national and international universities and partners in oncology, cardiovascular, metabolic, inflammatory and neurodegenerative disorders, and in the management and publication of international peer reviewed journals.